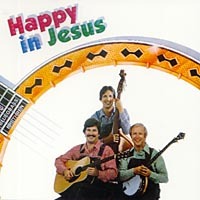 Like "Sharin' Jesus" this is an "early years" release, but still has a wonderful appeal to Bluegrass Brethren fans. It includes current performance songs like "Family Times", "Shout and Sing", "Carin' For Me" and many others. Even though this is vintage BGB, it contains a great energy and is simply captivating. Many songs are played at break-neck speed. Recorded when the group was a trio, through the "magic" of studio recording, it still features all of the bluegrass instruments of banjo, bass, guitar, mandolin, fiddle, and resophonic guitar.